US 50 to Walnut St to lt on Center St. Property at corner of Short St & Center. Sign on. 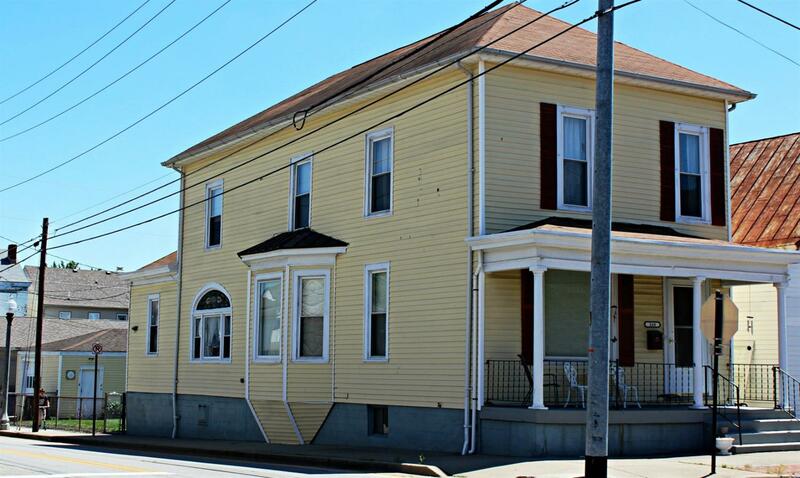 Spacious 4 bdrm, 2 bth 2-story in great location - downtown Lawrenceburg! Covered front porch & back deck, fenced backyard; 2-car detached garage. Home has a lot of character - tall ceilings, stained glass window. All kitchen appliances & washer/dryer stay. NOTE: This property was sold on 8/30/2017 and is no longer available. The details listed below are believed accurate to the date of the sale and are subject to change.